The ET-LAD120W Panasonic twin-pack projector lamp replacements comes with genuine original 420 watt Osram brand P-VIP bulbs inside rated at 8,500 lumens (brightness equal to the original Panasonic lamp). The ET-LAD120W Twin-Pack has a rated lamp life of 3,000 hours (4,000 hours in eco-mode). This Twin-Pack has higher lumen output and longer lamp life than other cheaper generic replacement lamps being sold elsewhere. It also has a Lamp Run-Time Module that is calibrated and tested during Pureland Supply's quality control process. It is guaranteed to operate the same as the original and will count your run time correctly to ensure proper function of your projector. 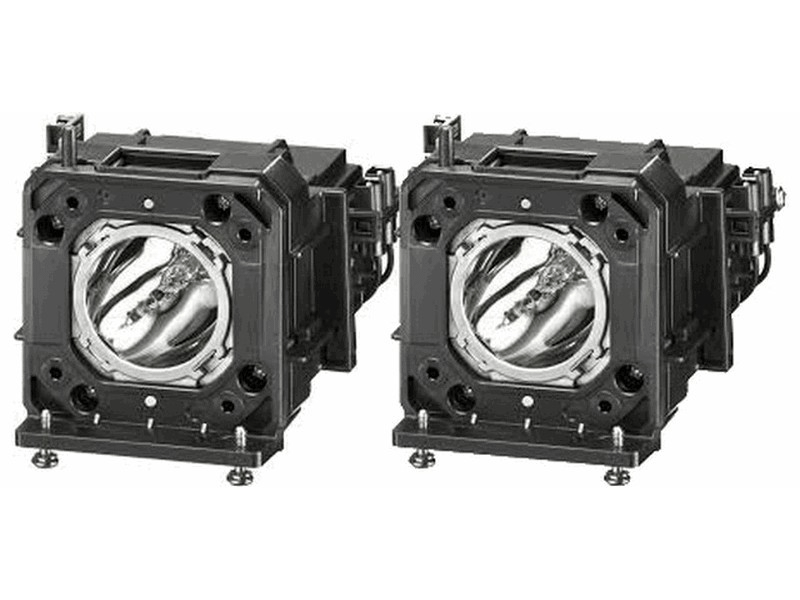 ET-LAD120W Panasonic Twin-Pack Projector Lamp Replacement (contains two lamps). Projector Lamp Assembly with High Quality Genuine Original Osram P-VIP Bulb Inside. Twin Pack contains 2 Lamps. Our lamps arrived on time via FedEx and were packaged inside another larger box - very professionally done. The lamps themselves look much like the OEM but we saved a bunch of money on these. Very pleased with the service and the overall quality of these Panasonic lamps and would recommend Pureland Supply. Lamps work great and arrived the day after ordering! These Panasonic twin packs come with an Osram bulb which after researching is a good quality lamp made in Germany. We couldn't identify the bulb mfr on the one we tried from Amazon and we only got about 400 hours before that one exploded. So far this one is running brighter and will hopefully last much longer.